President Obama is again disregarding the Constitutional principles of separation of powers and exceeding his authority as Chief Executive. The Obama Administration issued guidance creating uncertainty and fear of prosecution for law-abiding citizens who wish to exercise their right to sell firearms lawfully. Forthcoming federal rules could also deprive millions of Americans of their Second Amendment rights without any indication of imminent danger. I have asked the Attorney General to review this proposed rule language as soon as it is made available and, if issued as reported, to take any and all legal measures available to challenge this illegal act. Walker chooses NRA money over the brutal assault of 20 six-year olds. Pathetic. What law abiding citizen will not be able to get a gun because of this action? Whose guns will be taken away? 81% of Wisconsin residents support background checks for private gun sales and gun shows. So who is Walker really representing by opposing this? Not the residents of the state he governs. “uncertainty and fear “? Is that anything like divide and conquer? Shock and awe? Yet another embarrassing example demonstrating the obvious. This guy knows nothing about the Presidency, let alone leadership. When will this loser leave us alone? I am so sick of him and his knee-jerk reactions. Does he have a thinking bone in his body? Gov. Walker’s run for the Presidency was definitely overreach. Wisconsin paid dearly while he pursued his fantasy. The debates exposed him as a one trick pony…destroy Unions. Mr. Unintimidated fled the scene as soon as he was exposed by the other candidates as a light weight. Now Wisconsin is stuck with a tinfoil god, who is ruling by revenge. As the number of deaths by firearm approach deaths due to motor vehicles, this clueless dork panders to the NRA. It should be obvious to all but the most uninformed Wisconsin voter by now that in this state, the worst of us are now governing the rest of us. Does Walker even recognize what a hypocrite he is? 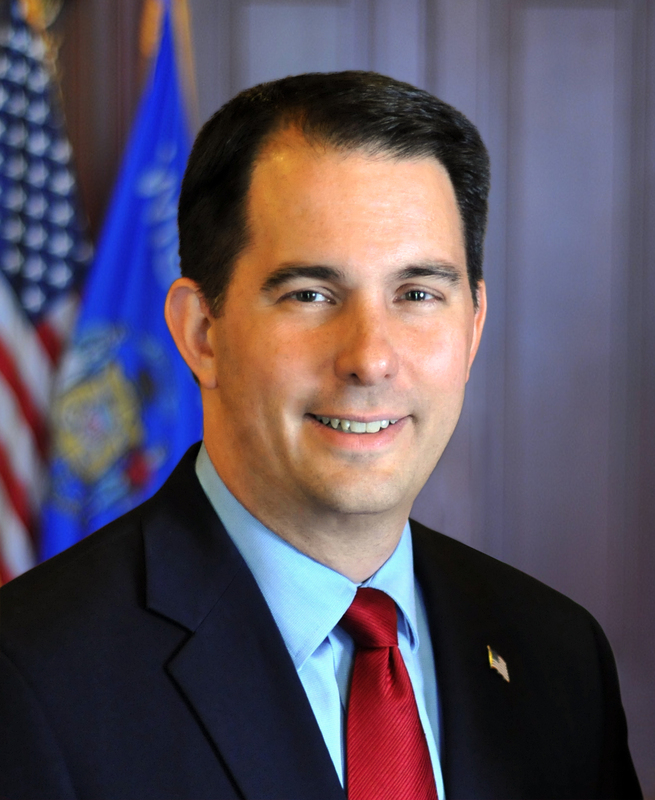 ..To Paraphrase his quote.”Governor walker is again disregarding the Constitutional principles of separation of powers and exceeding his authority as Chief Executive.” He had no problem insinuating himself in Racine’s local school board election. There was no Presidential overreach with the Executive Order on controlling gun sales. These laws are already on the books but are not being enforced. Simply enforcing the laws would cut down on people getting weapons they are not legally allowed to have. Those who keep saying Obama’s going to take away my guns are insane. Where do they get that out of what Obama has ordered? Nowhere! It’s all inflammatory rhetoric and hearsay that they are simply repeating.